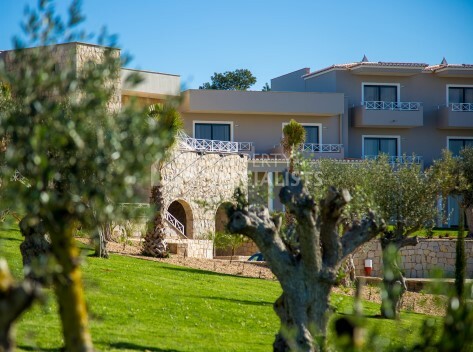 Buying or Selling a Villa or Apartment in Portugal? We get it, hundreds of real estate agencies are out there waiting to help you buy a villa in Lagos or the Algarve, and everyone will tell you they are the best. But “ World's number 1 coffee” isn't usually the best coffee out there, is it? In a country where everyone seems to take so much time for everything, Estate Agents seem to take no time for you at all. We understand that to buy a villa or investment apartment is a big step, regardless of it being your first time buying property abroad, your new primary residence, or an investment property. We are a small team of multi lingual people that know what it is like to come to Portugal from abroad, so we understand the huge step that you are taking. Let us take it with you. real estate with over 20 years of experience. We simply have all the contacts, know-how, and experience to find the best property for you, in the best area for you, at the right price. We source only high quality properties in each category and guarantee that we have personally viewed and evaluated every single one. 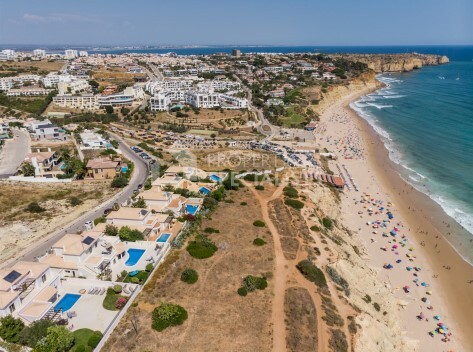 Our specialist area is Lagos, but we have the contacts to source property throughout the Algarve whether you are looking to buy a villa in Lagos, or buy an apartment in the Golden Triangle. You might find it quite intimidating to buy a property abroad, especially if you are not accustomed to the country (yet). But that is what we're here for. We will help you not only with your property search, but with every step of the way throughout the property buying process. We help you when you need a solicitor, a notary, an architect, a decorator, a builder, a bank, or just general information about the area. We will help you before, during and beyond the process. To get a head start into your property search, have a read through the property buying process, and let us know if anything is unclear, we are happy to explain it further. 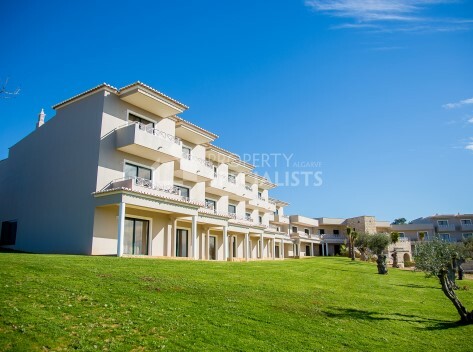 South-facing 4 bedroom villa with uninterrupted sea views at Porto de Mos, Lagos, Algarve. 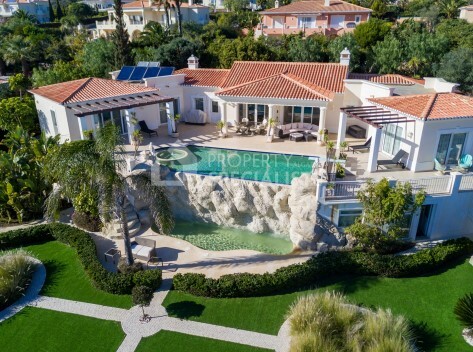 Extraordinary location minutes walk to beach, with large terraces, private pool and garage. Renovated 4 bedroom townhouse for sale in the heart of Lagos, in a modern twist to the traditional Portuguese style. Roof terrace with views of the sea and city of Lagos, open living and dining area, south facing master bedroom and garage. 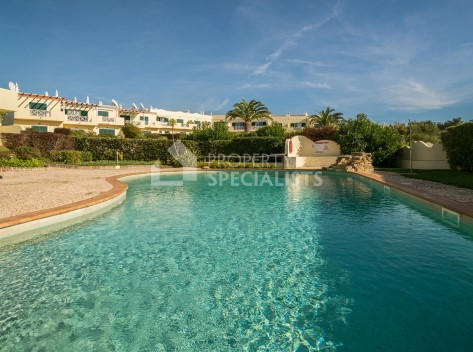 Stunning 2 bedroom duplex apartment with pool, private terrace and balconies, surrounded by landscaped gardens. Exceptional location with the beach just a few minutes walk away. Superb investment opportunity, 1 bedroom apartment in the heart of Lagos, with a rooftop terrace with gorgeous views over the Lagos promenade and the sea. Excellent potential for rental income! LAST REMAINING! 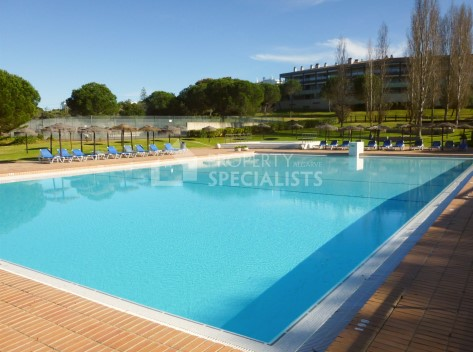 4 bedroom apartment in Lagos, Algarve, only a few minutes walk from the beach and town centre. Swimming pool, tennis court, private terrace, garage, landscaped gardens, open living and dining area. Spacious 3 bedroom apartment just a few minutes walk from the beach and Lagos Marina. Air conditioning, swimming pool, private balconies, parking space and fully equipped kitchen. 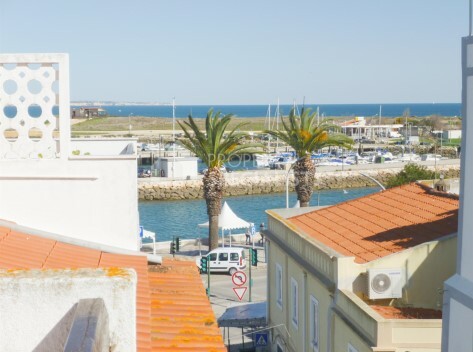 Beautifully renovated 2 bedroom apartment in Luz, Algarve. Centrally located with the beach only 4 minutes walk away. With open plan living, dining and kitchen area, swimming pool and private garden and terraces. ONLY TWO LEFT! Brand new 2 bedroom apartments in Lagos, only walking distance from the most gorgeous Algarve beaches. Featuring underfloor heating, private parking, swimming pool, stylish design and air conditioning! Small commercial opportunity! 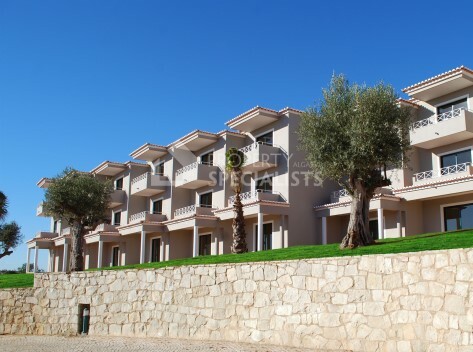 Three 2 bedroom apartments with private pool and established rental history in Burgau, Algarve. Rental property investment or individual family homes. 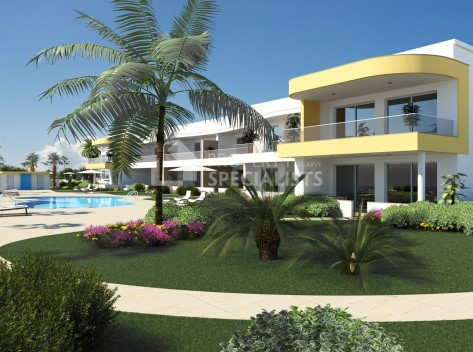 3 bedroom apartments in Lagos, Algarve. Tennis court, swimming pool, private terrace, garage, landscaped gardens and open space living and dining area, only a few minutes walk from the beach and town centre. 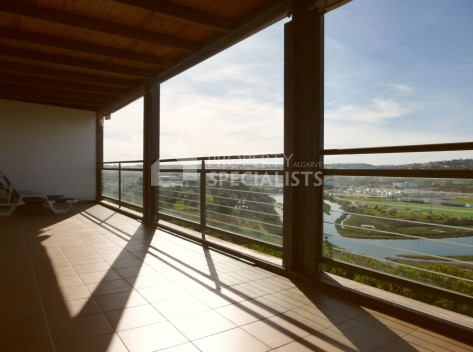 Modern 3 bedroom apartment in the prestigious Porto de Mos area of Lagos. Sea views from the roof terrace plus minutes walk to the beach and Campimar restaurant. 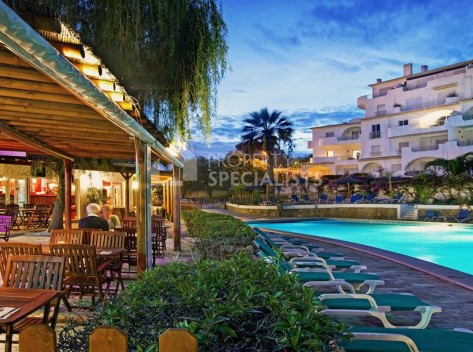 This exclusive 2 bedroom apartment is just a few minutes walk to many breathtaking beaches. 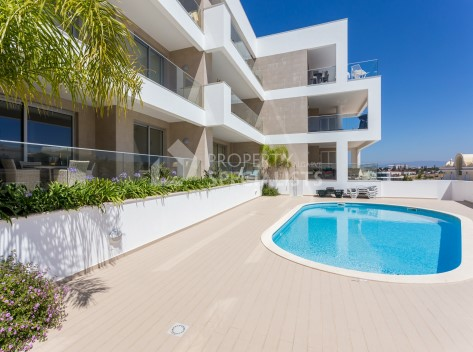 With 3 balconies, open space living and dining area and swimming pool, it is the perfect home to enjoy the Algarve lifestyle! 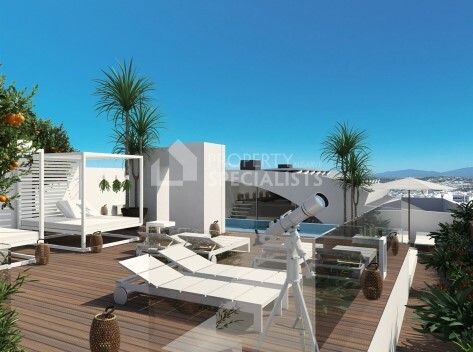 Luxury new top floor 3 bedroom apartment for sale in this new Lagos development, with rooftop sun-terrace and heated pool. Great location in central Lagos with amazing views. Traditional style 4 bedroom villa for sale with private pool and garage, in a peaceful residential area of Lagos. Close to beaches, golf courses, International Schools and Lagos centre. 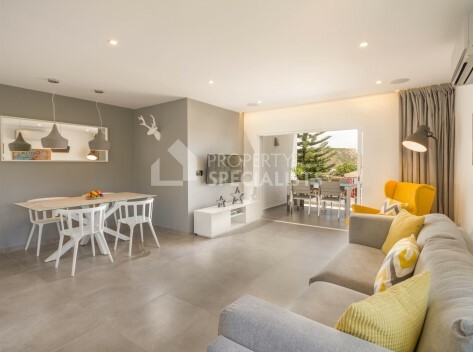 Fabulous single storey 3 bedroom villa in Praia da Luz with magnificent sea view. Private solar heated pool, wrap around terrace, triple garage. Walking distance to the centre of Luz. 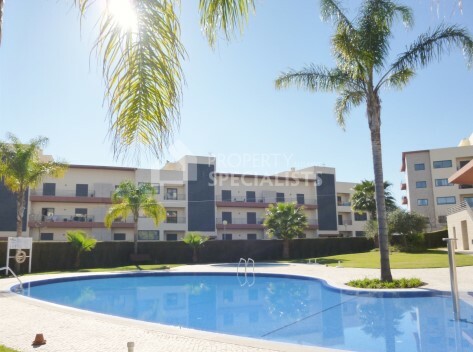 2 bedroom apartments in Lagos, Algarve. Great investment, with open space living and dining area, equipped kitchen, swimming pool, tennis court, landscaped gardens and private balcony, only a few minutes walk from the beach. 3 bedroom townhouse, with private balconies and garden, in Meia Praia, Lagos, just 5 minutes walk to the beach. Underfloor heating, air conditioning, heated swimming pool, landscaped gardens and children's playground. We are a dynamic team of multi lingual people with the same goal: to help others find their dream home in Portugal, just as we once did. Every one of us once had an office job in a rainy country and decided to make the move to this warm, safe and sunny country. Whether you love golf, surfing, chilling on a terrace with a long drink and a good book, looking to obtain tax benefits or citizenship, or buy a property as a long term investment, we can help, that is our personal commitment to you. In this country that we love, where we chose to live our lives, we are here to help you do the same. 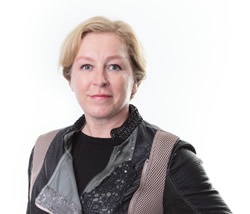 When Natascha Hunt moved to Portugal from the UK back in 2000 she left a successful career in the finance sector, at the bank of Ireland. She felt it was time for change. She started her real estate career in Quinta do Lago, but fell in love with Lagos and moved there 4 years into her career. Since then, Natascha has grown into the Lagos real estate specialist that she is today. She values transparency, and has a hands-on and can-do attitude. She is the beating heart of Property Specialists Algarve. Sara worked for 3 years in a Law office, alongside her distance study course to achieve a bachelor as a solicitor. She has dual Portuguese and German nationality, and lived, studied and worked in the United Kingdom for 3 years. She has experience in customer services and office administration, is a details person who loves learning and perfecting new skills and meeting people. Sue has lived in Portugal with her family since 2004, after falling in love with the people and the lifestyle. 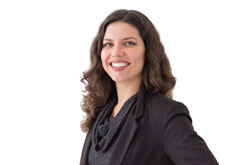 She has a passion for new challenges and learning new skills, and thrives on seeing projects through to the end. 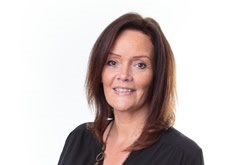 With experience in sales, administration and website design Sue uses her creative flair to work closely with Natascha, providing support in all areas including administration, digital media and website management.